A multivariate normal random variable. The mean keyword specifies the mean. The cov keyword specifies the covariance matrix. Quantiles, with the last axis of x denoting the components. If int or RandomState, use it for drawing the random variates. If None (or np.random), the global np.random state is used. Default is None. 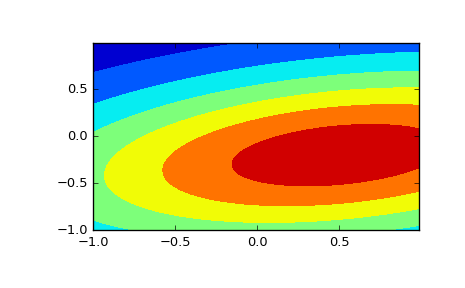 Frozen object with the same methods but holding the given mean and covariance fixed. be the zero-vector. The parameter cov can be a scalar, in which case the covariance matrix is the identity times that value, a vector of diagonal entries for the covariance matrix, or a two-dimensional array_like. The covariance matrix cov must be a (symmetric) positive semi-definite matrix. The determinant and inverse of cov are computed as the pseudo-determinant and pseudo-inverse, respectively, so that cov does not need to have full rank. where \(\mu\) is the mean, \(\Sigma\) the covariance matrix, and \(k\) is the dimension of the space where \(x\) takes values. 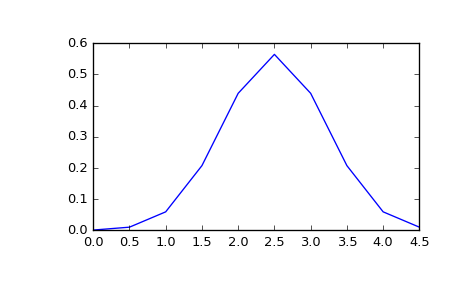 pdf(x, mean=None, cov=1, allow_singular=False) Probability density function. logpdf(x, mean=None, cov=1, allow_singular=False) Log of the probability density function. rvs(mean=None, cov=1, size=1, random_state=None) Draw random samples from a multivariate normal distribution. entropy() Compute the differential entropy of the multivariate normal.